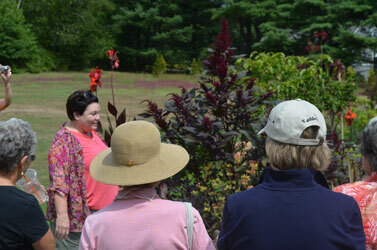 Wander Among our two acres of Display Gardens to find inspiration for your own gardens. 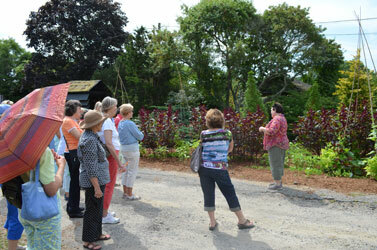 Tranquil lake Nursery features two acres of display gardens and ten acres of daylily and iris fields. 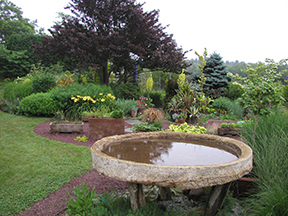 Wander among two acres of display gardens at Tranquil Lake Nursery, where you will see a diverse variety of perennials, grasses, trees shrubs and vines, as well as an abundance of annuals. Pollinators and birds abound. 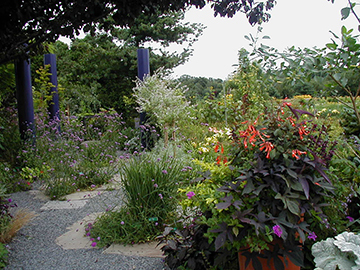 The gardens include a number of perennial borders, mixed perennial and shrub gardens, an Entry Garden, an ornamental vegetable garden, a thyme bench, container herb garden, a new entry garden, an ornamental grass garden, a pond-side water garden, a purple garden designed to attract hummingbirds, a bog garden, a dry-scree garden, spectacular container plantings brimming with annuals and perennials, a pool with a water rill and a rain garden, bog water garden, and a new children’s garden. 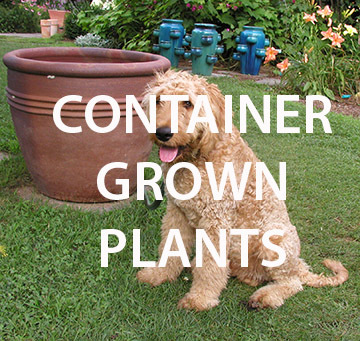 Many of the plants in the garden are also available for sale. 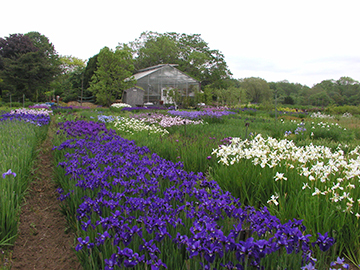 You will also see more that 10 acres of fields of Siberian Iris and Japanese Iris and daylilies. 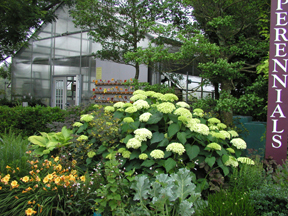 Tranquil Lake Nursery is the largest grower of these plants in the northeast. Visitors are always welcome to stroll through the growing fields. 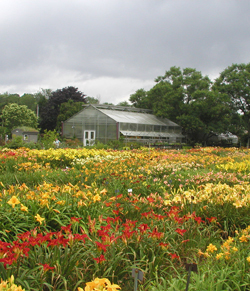 It's a wonderful opportunity to pick out favorite colors, shapes and sizes from the more than 2,500 cultivars of daylilies and 300 cultivars each of Siberian and Japanese Iris. Among our more than 2,500 daylilies are the latest introductions as well as the best of the older cultivars. 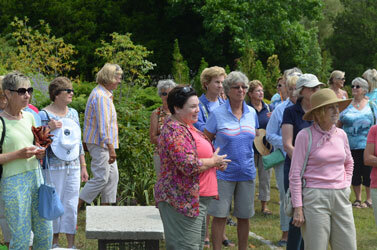 To request a group tour for your Garden group contact us or fill out the form below. Please note there will be a fee of $5 per person.